Front man extraordinaire, known for his dynamic vocals skills, Cornell “C.C.” Carter defines a phenomenal stage presence. His high powered audience engagement has been gracing stages and entertaining thousands with his signature sound throughout the world. C.C. aka “Cornell 2000”, a name given to him by Grammy Award winning Producer Narada Michael Walden, has been a performer/vocalist for many years. 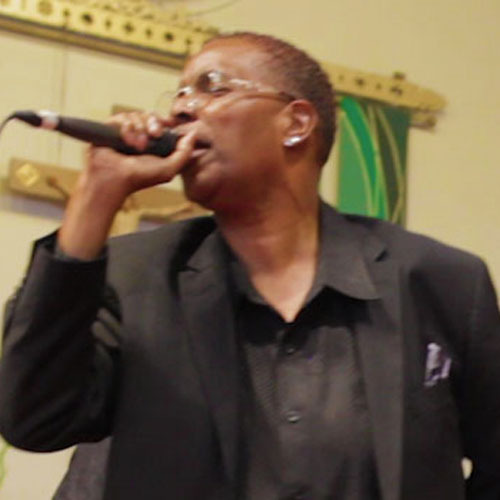 Throughout the years, CC has appeared on many albums, and he continues to be one of the most in-demand session vocalists in the San Francisco Bay Area. CC was honored to perform with world-renowned, multi-Platinum Guitarist Carlos Santana, providing background vocals on two tracks that appear on Santana IV, a reunion album released in 2016. His experience and professionalism have made him an A-list background vocalist for Tarpan Studios, appearing on tracks from Grammy and Emmy Award Winning Producer Narada Michael Walden’s new album EVOLUTION. CC’s presence, In Narada’s Great Gospel GospelShow, brings an energy and soul to every performance.